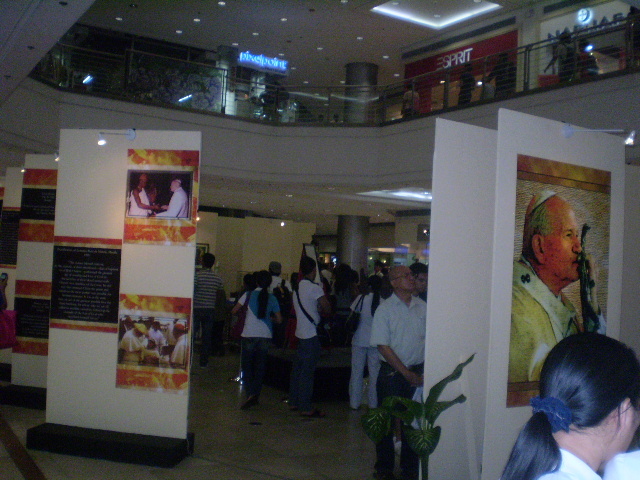 A relic and photo exhibit dedicated to the Blessed Pope John Paul II was held in the Gateway Mall in Quezon City from October 9 to 21. 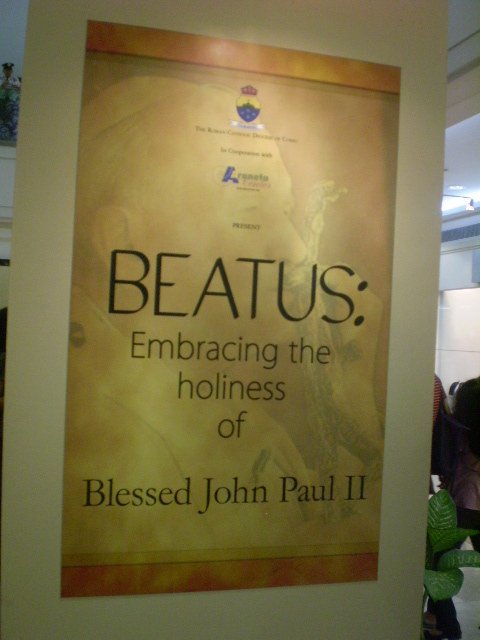 Dubbed as “BEATUS: Embracing the Holiness of John Paul II,” the event is part of the Araneta Center and Diocese of Cubao’s celebration of the Holy Father’s first feast day last October 22. According to Catholic.org, the date was chosen “to memorialize Pope John Paul’s inauguration on October 22, 1978.” Beatus means “blessed” in Latin. 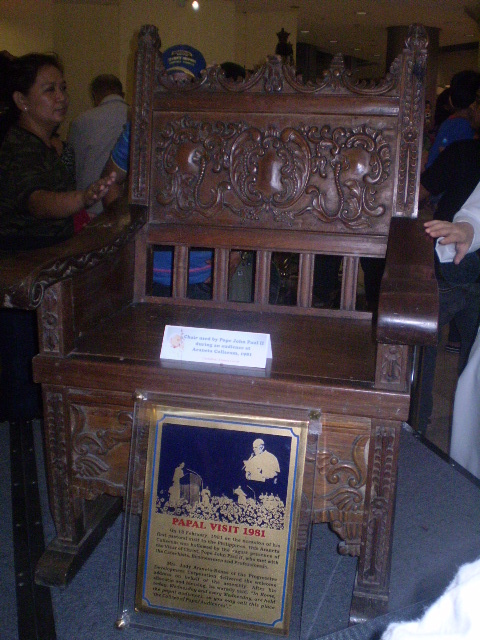 Rare items displayed include the skull cap the pontiff wore during the 1981 attempted assassination against him, the chasuble he used during the beatification of San Lorenzo Ruiz (the Philippine’s first saint), the chalice used in a mass during one of his pastoral visits to the country, as well as the chair he used during a mass at the Araneta Coliseum in early 1981. 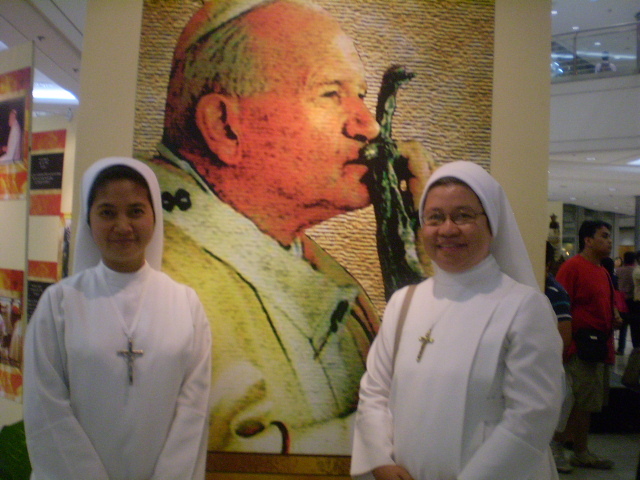 The newspaper Malaya reported that the Beatus exhibit is “one of the largest public collections of Pope John Paul II’s relics mounted in the country” (http://www.malaya.com.ph/oct07/liv4.html). The items come from the collections of the Loyola House of Studies, Carmelo Francisco Cortez, Dave Ceasar dela Cruz, the San Carlos Seminary, Araneta Center and Bishop Cirilo Almario, among others. At the sideline of the event, I was able to talk to three nuns from the Little Servants Sisters of the Immaculate Conception whose lives the late pope touched their lives in very profound ways. Of them is Sister Romana Stepnik of Poland. She said she has known Karol Josef Wojtyla for over three decades already – back when the latter is still the Archbishop of Krakow, Poland. 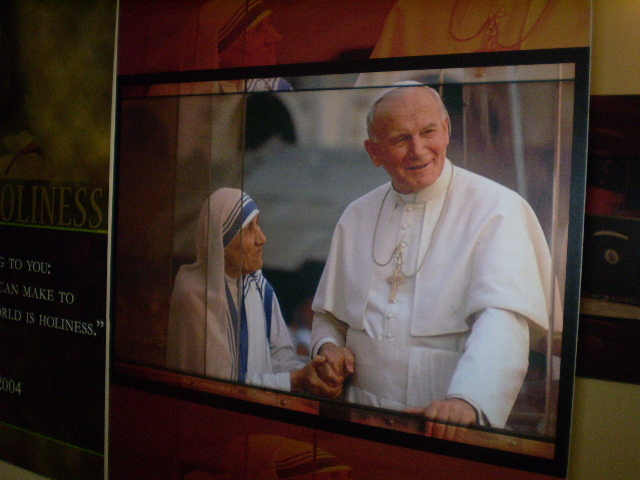 Though she hasn’t spoken to him personally, she recalled being able to attend masses celebrated by Pope John Paul II in his private chapel. For her, the experience is not only unforgettable – it is also inexpressible and unrepeatable. She described him as a “walking Saint” with a “mystique life” and a “direct communication to God.” “You feel so secure with him,” Sister Romana added. She considers the late pope the third most important figure in her life, next to God and her parents. 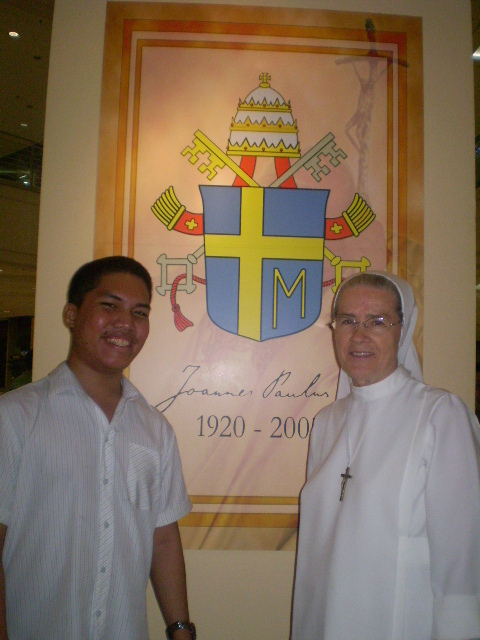 Sister Normita Dillera, for her part, noted that the late pontiff will forever be remembered for his efforts toward uplifting the poor and for “promoting peace and unity among religions.” And echoing what the pope said during his 1978 inauguration, Dillera exhorted Filipinos to “not be afraid” and to open the gates of their hearts to Christ. Describing the late pope as a “father and friend to everyone,” Sister Romana expressed hope that he will be canonized within her lifetime. “Up to now, the clamor for ‘Santo Subito’ (Literally means ‘Sainthood immediately’ in Italian) is still very strong,” she noted. As per Vatican rules, one more proven miracle must be attributed to Pope John Paul the Great to pave the way for his canonization. 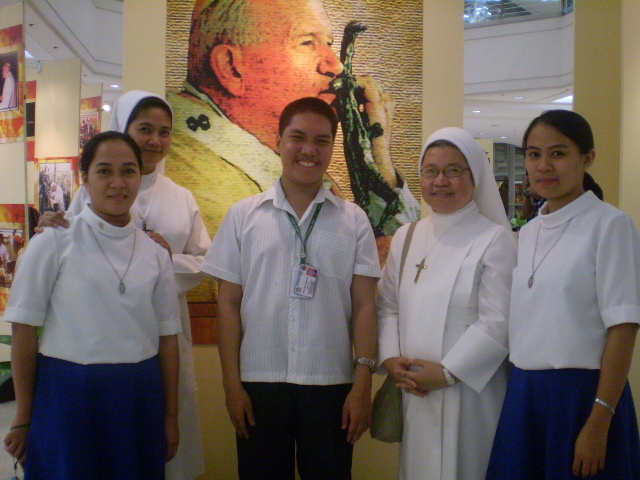 PS: The Little Servants Sisters of the Immaculate Conception are residing at the Blessed Edmund Convent in Paranaque, Philippines. They can be reached at bl.edmund@yahoo.com.